The growth of Facebook and Twitter has changed the way the world communicates. Social media has become so popular that it serves as an identity to exist. There are several sites that require a Facebook or Twitter login to authenticate you. Yet managing social media is a pain at times. With so many news feeds and followers, you get lost in the jungle of information. It is always required to organize and categorize the information you seek. Yet there are many spammers which equally exist in the social world, making our lives arduous. Social media tools become essential in such cases. They help you sort out the information, followers and weed out the unwanted ones. 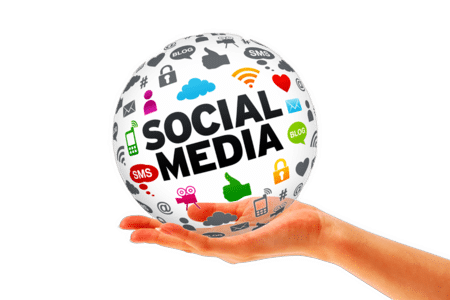 There are several social media management tools available, but few popular ones are listed here. Buffer as the name sounds serves the buffering job between you and the social media. By buffering, it sorts out your audience for you and the information that they are interested upon. It sounds interesting that this great app can channelize your communications. It also helps you schedule the information broadcasted to your audience. It comes both as a free and a paid version. Its subscription is as low as $250/month. Hootsuite add listening capabilities to your social media. It supports multilingual features to enable you to know what’s happening around the world. It uses the GPS location of your whereabouts and brings to you the latest discoveries around you. It is a fantastic tool when combined with buffer. They both as a combo offer a duplex channel for you to target the right audience with the right information from the right location. Further, it is cheaper than dine out meal costing just $65/month. Follow feature in twitter is like an ever growing chain. As strong the links are, the better the news you obtain. In social media, it is all about information. Right information from a right source has an immense value. Twitters follow button helps you land in the source instantly. But as you blindly follow your followers or others, it requires a magnanimous effort to figure out which is important and which is not. Furthermore, there are thousands of spam followers and fake hash tags that lead you to nowhere. This is where Followerwonk comes to rescue from the ocean of follows to the one that will enable you to land on the right shore. With $599/month it may seem a bit expensive but is worth the hassle you will face following. If you are looking for a sumo of online marketing tool, then BuzzSumo is the right one that you must have. It lets you monitor everything on the social media. It also enables you to find influencers. It has a powerful integrated search feature with the ability to filter based on columnists, bloggers, sponsors, and influencers is a great asset for every online marketer. With this tool you can easily target the right audience for as low as $99/month. It flares up your social screen with different social media sharing icons. This will instantly let you share on that social media of your favorite blog post. As the name rhymes with share, it serves its purpose. You can easily add it to your site or blog. It is a simple drag and drop driven tool to ease things for you in the social world. It is cheap for $9/month with CSS customization and themes that suit your taste.